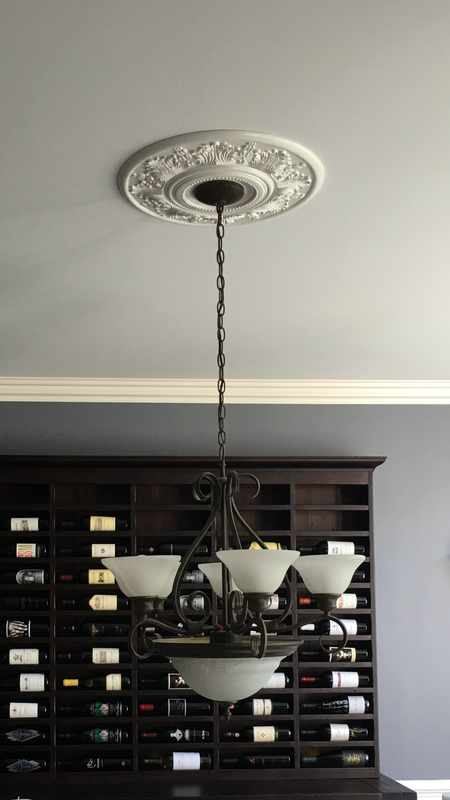 Shonna from Wadsworth, Illinois recently finished installing her new ceiling medallions. 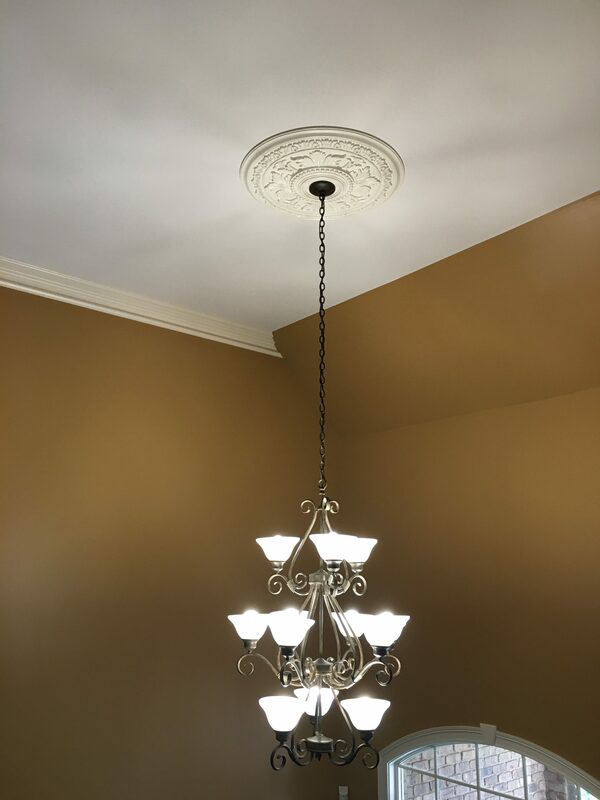 The Tellson and Vienna ceiling medallions accompany her dining room and foyer chandeliers quite beautifully! 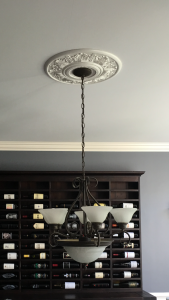 We offer our ceiling medallions in a variety of finishes and a primed option that is ready to be painted or stained to your liking. 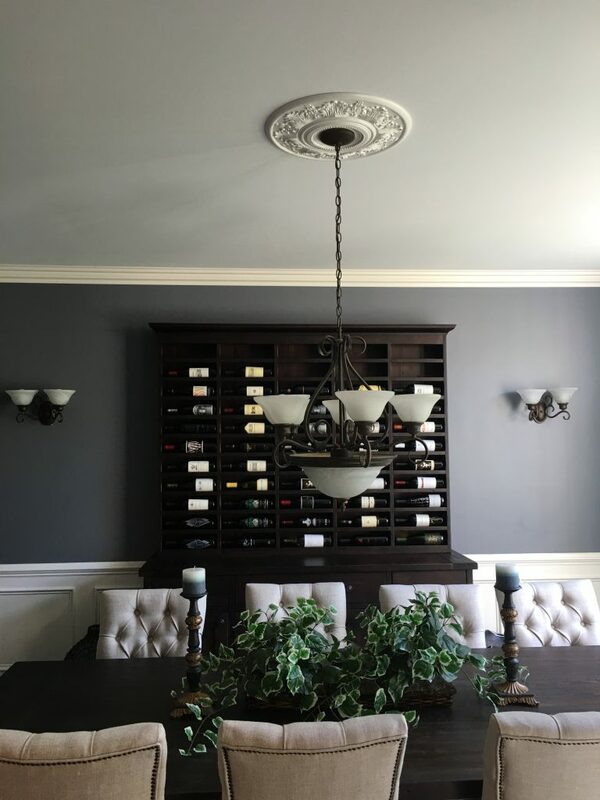 To find a ceiling medallion that’s right for you, click the link below to see our full collection!